Calling all agricultural industries! We have the finest supply of poultry bedding in Cheshire at P.H. Winterton… Since we know that having the correct bedding for your poultry animals can improve overall health, create a cosy environment, and promote growth, we have carefully selected an effective range of bedding to suit all these requirements. 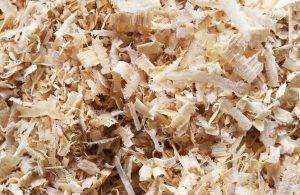 We have a fantastic range of shavings and sawdust that are all designed to be the perfect components for poultry bedding due to their beneficial qualities. If you really want to make your poultry feel comfortable this year, you absolutely have to consider our soft-dust or economy bale bedding! When we think of effective poultry bedding in Cheshire, we tend to think of a comfortable place for animals to sleep and relax… Our animal bedding provides you with all this and more and you’ll be surprised by the difference appropriate bedding can provide for poultry production. Looking for a product that’s affordable, comfortable, easy to clean, contains no irritants, and is double dust extracted? Our economy bale poultry bedding in Cheshire is the perfect solution you are looking for! This fantastic hard and soft wood bedding is a perfect all-rounder and will help to protect the respiratory system of your poultry. To make it even more impressive, it’s also temperature neutralising so animals will be perfectly warm in the winter and cooler in the summer. Another great supply of poultry bedding in Cheshire that we have is the soft-dust range. We love this product at P.H. Winterton because its designed to provide the ultimate comfort along with reduced dust emissions therefore is perfect for promoting poultry to lay their eggs. If you would like to know more information, contact us today and speak to a member of our team about other areas we supply to such as Staffordshire and Derbyshire. We can also chat to you about other services such as equine bedding, cubicle bedding, and biomass fuel – whatever you need, we have it!